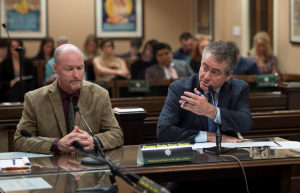 SACRAMENTO, Calif. (April 24, 2018) – Assembly Bill 2191, the White Shark Population Monitoring and Beach Safety Program, authored by Assemblymember Patrick O’Donnell (D – Long Beach), cleared the Assembly Water, Parks & Wildlife Committee Tuesday. 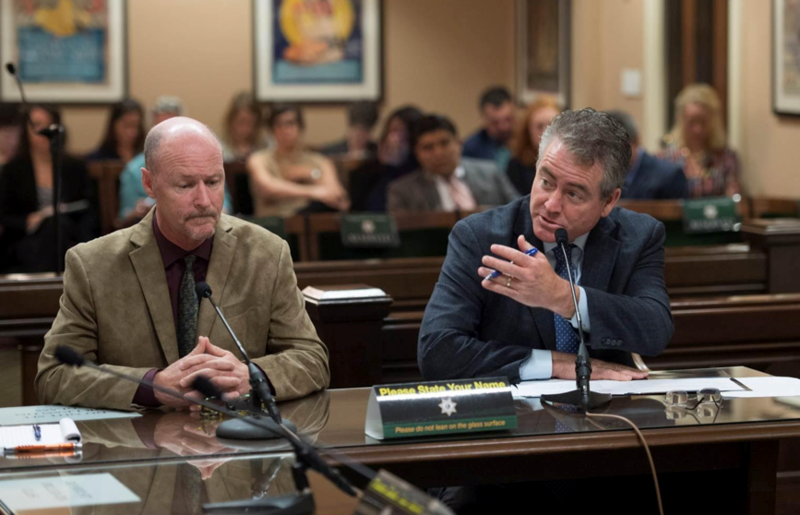 The bi-partisan15-0 vote in favor of the bill followed a hearing that included expert testimony from Long Beach State University Shark Lab Director Dr. Chris Lowe. Lowe spoke this morning to the committee supporting investment in research into growing white shark populations along California’s coast. O’Donnell, who introduced Lowe to the committee, noted that record numbers of shark sightings during 2017 had overextended the Shark Lab’s resources. O’Donnell introduced this measure in collaboration with Long Beach State University’s renowned Shark Lab, which has been on campus since 1966. He also recently partnered with the Shark Lab to hold “Shark Day,” a public informational event at the campus. The event highlighted the Shark Lab’s work monitoring and studying sharks, which would be eligible for funding through AB 2191.